Thank you so much for taking out the time to speak with us today about adoption. We spoke with Jennifer Fairfax to learn about her firm and the services that she can offer to pregnant women considering adoption. What’s unique about your agency’s or firms approach and what do you feel are some of the real benefits that an expectant mom might experience if she was to place through your firm/agency? We are a law firm. When a birth mother contacts us we will speak with her and often meet with her to go over all her options including parenting, safe haven, adoption agency and private adoption. We do not match -rather we help woman figure out what is the best option for them based on their wishes and if they choose adoption, we will work with them by explaining differences between private and agency so that they get the kind of support they want. 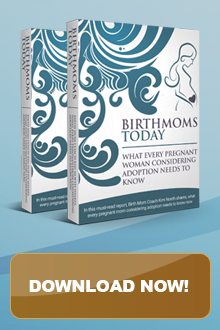 Does an expectant mom have to be certain that she is choosing adoption to meet with you? Not at all. We talk with them by phone first and generally cover all their options and if they want to learn more then we meet in person (often over a meal) and if, after that they want to pursue adoption we proceed to offering options. Do you discuss the other options available to her? All options are discussed. From termination, safe haven, parenting, family support, government involvement, private adoption, agency adoption. Do you provide parenting resources for her? We provide lists with resources and can get them numbers to call and places to go. We do obtain resources for them. What are some of the resources that she might be offered? We provide information on medical care, medicaid, housing, food, free services from charities, etc. Do you help with her medical needs? MD, DC and VA allow adoptive parents to pay uncovered medicals so those would be covered in an adoption. Prior to making a plan we refer her to services for care – clinics, doctors, medicaid offices. Transportation? if she has made an adoption plan, yes. As part of the adoption, the adoptive parents can cover transportation for medical, legal and counseling. If she qualifies for living expenses they can cover additional transportation. Legal fees? within an adoption only. but we do not charge to assist a woman who is proceeding with an adoption plan. If, after the first meeting she is unsure we will continue to speak with her (or text) but we won’t do a follow up meeting unless she wants to proceed. If she needs counseling, we will refer her for counseling. What if she needs some basics like maternity clothes? MD and VA allow this within an adoption plan if she obtains a medical note that she cannot work due to pregnancy otherwise we can refer her to charities or public assistance. Can the expectant woman’s boyfriend or spouse and or family be involved in the process too? At her direction. Can she choose a family for her child or do you select for her? She MUST choose. We will never choose a family for her. if she wants someone else to pick we refer her to an agency as we cannot match. Does she have her own free legal representation? Any placing parent can have their legal fees paid by the adoptive parent or agency. Can she create her own hospital plan? Yes. Walk me through the process. If I was an expectant mom who came into the firm what would it look like for me working with you? See above. We start by talking by phone or texting. We meet for an intake meeting. I leave you with background forms and some information on adoption. If you want to proceed with adoption I will send you resources to pick a family if private or agencies to interview if agency. If you proceed with an agency I gently hand you off to them always letting you know you have a right to an attorney and can call me anytime. If you proceed with private, I will help you interview families you like and go through things you hope to find in a family (two parent, single, christian, jewish, kids, no kids, etc.). When you find a family I will represent through the entire process. I will check on you, obtain your medical records, make sure you have transportation to doctors appts, etc., ensure your communications with the AF is going OK, etc. I will make sure you see any documents you will sign before you sign them. Most of my clients see documents at least twice before they actually sign them to ensure they have time to review. I will share your hospital plan with the hospital and adoptive couple and will assist with discharge as needed. I will check on you post partum. If you elected counseling I will refer you to a counselor and follow up (and pay the bill). When placement has occurred and your revocation period as passed I remain available but i tell all my clients I won’t check up on you because I know I can be a trigger to your emotions but I am always here if you need to reach out. Many of my clients randomly text me and I even occasionally have had the honor of grabbing lunch with some years after placement. Lets talk next about the type of education that you provide the adopting couple with. Do you provide training and education for the families to learn about issues that might arise if they choose to adopt a child of a different ethnicity than them? No. Training on problems that can arise over the years for an adoptee? No. How about the different types of adoptions and why knowing the childs natural family would be more beneficial for the child? No. I am limited to providing legal advice and cannot counsel/train on these issues. Do you do any closed adoptions? Yes. What does your firm consider to be a semi-open adoption? Having first names and general information, meeting in person once or twice. Really depends. We let the parties to the adoption define their own relationship. Do you encourage open adoptions and if so what does that look like for an expectant mom over time? Yes. Always. We encourage annual updates (minimum) and phone calls annually. We support the parties willingness to have visits and help them define parameters. Really we let the parties define their relationships. Does the care stop once the expectant mom places her baby with the adopting couple? Generally, yes. However, I have always assisted clients after placement with resources and touching base at their request. I think its crucial that when a woman gets help around her adoption experience that the help be adoption related. Do you have adoption specific counselors and specialist for her to work with? Yes. We only use counselors who are adoption trained. I have found many times women have other challenges to work through in addition to the adoption experience. Do you find this to be true with the women you serve? Yes. Can your services help them overall with all the areas they might be struggling with? Not really. As lawyers we can refer them to services and sometimes we actually have agencies willing to provide them support through their post partum divisions. Since we sometimes offer pro bono legal services to agencies, they will offer services to a bm who did not place through them if she worked with us. Is there anything else that you think would be helpful for a woman to know who might be considering working with your agency? I strongly recommend that all pregnant woman consult an attorney. 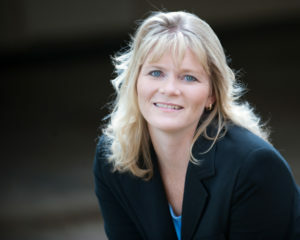 Adoption Attorneys do not charge expectant parents considering adoption for a consult and if the attorney does not match (most are prohibited from matching under state laws) then the attorney is going to lay out all the options from agency to private and then she has enough information to make an informed decision. Where are you located and how might someone looking for help in your area be able to connect with you? Physically we are in MD but we are licensed in MD, DC and VA. They can email, call or text. Jennifer is 240-863-2441 and Catelyn is 240-245-7765.